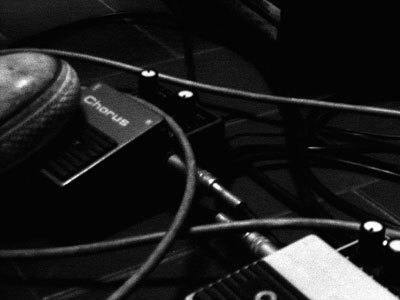 Essential Guitar Pedals To Make Your Music Sound Like A Pro! You are here: Home / Guitar Effect / The 3 Essential Guitar Pedals To Make Your Music Sound Like A Pro !! A live performance quite an incredible experience both for the musician and the audience. You get to tap your toe and bang your head to the beat while enjoying great music. The thing is, for aspiring musicians who are trying to decipher how their music works, this experience can be quite overwhelming and frustrating at the same time. Sometimes, you just can’t figure out how they linked their effects to come up with such sweet, oh so sweet tones! To get to where the Rockstars are, here are three essential guitar pedals that you must have on your rig! I know you have been dreaming to copy that sound. You even bought yourself the exact overdrive effect your idol is using! To your surprise, you are nowhere near their sound! I know this adds up to the frustration and further clouds your thinking. Just listen for a while, okay? The artist you are trying to copy maybe using a different guitar and a different set of amp! A different set of electronic parts sounds different when put together. Humbucker pickups and single coil pickups are different in nature and produce distinct tones. Put in mind that the position of the active pickups you are using also play a significant role. The closer you are to the bridge, the crunchier, brighter and more brittle the sound will get. The further you go from the bridge, the softer and more bluesy you will sound. 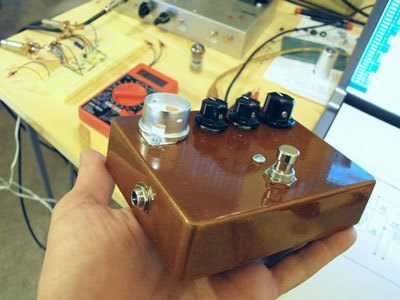 So before you throw out that overdrive pedal you just bought, try toggling the pickup selector and adjusting the gain of your pedal and your amp. Find the perfect balance to get the amount of distortion you are looking for. Chorus is another essential guitar pedal that must be in your arsenal. Using it alone augments the sound by playing multiple layers of your original signal in slightly deviating frequencies. The sound feels like they are coming from different guitars playing altogether, thus given the name chorus. Playing a good rhythm guitar riff is not a matter of how complicated it is. Sometimes, a perfectly executed riff with a chorus effect can bring all the sound together. Choruses can give a no-dull-moment air to the whole song! If you haven’t tried linking a chorus with an overdrive pedal, then prepare to get your mind blown! This effect, when coupled with overdrive, enhances the distortion and gives you a fuller sound with no dead air! Unleash a face melting solo with this combo! Pro Tip: Take caution when using this together. This combination may overwhelm all the other instrumentalists in the band if not set at the right volume. Hooking up a volume pedal can help you adjust your output without remixing your effect pedal settings. 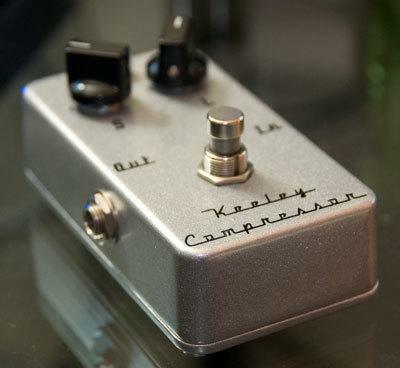 A compressor pedal is another one of the essential guitar pedals that must be present on your rig. The function of a compressor pedal may not seem to be noticeable to the listening crowd. But professional musicians almost always have this on their rig. Why? The function of a compressor does not alter the signal making it unnoticeable on gigs and live performances. This effect can lengthen sustains or keep the volume from going past the set level of threshold. If your threshold limit is set at 10db, the compressor cuts the signal so that your output will not be too loud. This means that no matter how hard you shred your strings, you will be limited to the set output making it impossible to go beyond that level. It can also act as a sustainer and can amplify weak signals to level your output. Imagine the dramatic effect of longer fading notes. To recap, we have listed three essential guitar pedals that will help you bring out your best tone. These must-have guitar pedals will take you a long way in your career before you start looking for more. The potential of this three can be optimized when used in combination. Using your overdrive pedal can give you amazing solos and heavy rhythm riffs. Using your chorus effect, you can have that airy mystical feel. Having a chorus and overdrive together just brings pure awesomeness. To have your output in check, the compressor tapers and lengthens every stroke you do. Playing music is a matter of balance. The simplest riffs can be outstanding when perfectly executed and layered with other instruments. Things don’t always need to be complex to be amazing. Proper technique and balance in the use of your effects can take you far. I hope you have enjoyed and learned something here. Feel free to leave your comment below and I would gladly respond.